Today is the Day: Get Gutsy, Make YOUR Move! West Michigan women are coming together to celebrate our region as a great place to have a career and be supported by companies that support women. This year’s hosts are Amway, Inforum, Meijer and Wolverine Worldwide. Engage men as allies. Everyone plays a role in changing the work environment. Get Gutsy, Make YOUR Move! A Gutsy Move isn’t a haphazard decision you make without regard to the apparent risks and dangers. It’s about taking action, on what you know in your gut is the right move, to create and execute a plan to realize your goal. This up close and personal experience with FlyGirl won’t just leave you with inspiration, you’ll be propelled into action and ignited to Make YOUR Gutsy Move! 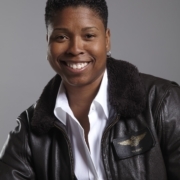 About The Speaker: Leveraging her “Get Gutsy” mindset, Vernice “FlyGirl” Armour went from beat cop to combat pilot in three years becoming America’s First African American Female Combat Pilot. As featured on CNN, OPRAH and others, FlyGirl’s fresh, edgy style and unique, gutsy essence moves people to action. 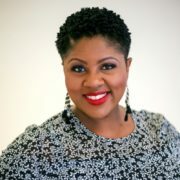 FlyGirl holds two honorary doctorates, was a Diversity Liaison Officer and is a member of the COMCAST/NBCUniversal Joint Diversity Council. She has received numerous awards as a pioneering pilot and in STEM. work over the past thirty-five years has shown this isn’t true – if we learn to manage it right. This talk shows what men will gain by supporting equality and the advantages that come to businesses and public institutions that embrace gender equality. Learn practical tools to bring into your own corporation and life. 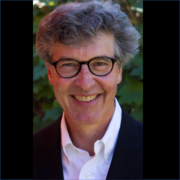 About The Speaker: Dr. Michael Kaufman is a writer and adviser focused on engaging men to promote gender equality, encourage more involved fatherhood and end violence against women. Over the past four decades, he has worked in 50 countries with the United Nations, governments, NGOs, women’s organizations, universities and businesses. Most of us know the exhaustion of behaving in line with the expectations of others, the process of “acting accordingly” and striving to be what is called for in the moment. What we are often less familiar with is our existence and personal offerings without the influence of external sources. The authentic self shows up at our absolute best. This keynote workshop will assist participants in understanding what it means to build an authentic personal brand built on one’s core value values, articulate the benefits of doing so and provide a powerful process for enhancing your presence. 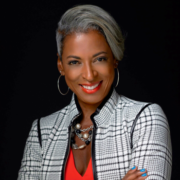 About The Speaker: Pathfinder, Author & Speaker Monica Cost creates customized and sustainable change for organizations, entrepreneurs and individuals, through the design and execution of values based solutions. Monica launched her pathfinding company full-time 8 years ago after a pioneering career spanning over 15 years in finance, administration and commercial real estate for Fortune 500 Companies. Her trademarked Value Identification Process® she used to move beyond setbacks and unexpected life circumstances was so captivating, it ignited many others to utilize it, as well. #RockstarWomen may go to the bathroom together, but they also launch businesses, scale movements, and lead in community together. Women who use their individual magic in collective ways exponentially expand their impact. This high-octane, interactive workshop is designed to inspire female leaders to explore the power of sisterhood as a leadership and wellness strategy! In this session, Dr. Landrau will be sharing action steps that help professional women understand how to best use their skills, get support, and manage their time efficiently. The attendees will gain knowledge and guidance to recognize their talents and voice their achievements which will help them get to the next step in their careers and in life. About The Speaker: Carmen W. Landrau, MD is a cardiologist and professional keynote speaker in Houston, TX. Her years of experience navigating a male-dominated and hierarchical career and her daily interactions with other women in medicine have served as the inspiration for her women’s empowerment talks, workshops and sessions. Dr. Landrau has been featured in Houstonia Magazine and H Texas Magazine, recognized among Houston’s Top Doctors, and is a contributor to online publications. Women tend to be risk-averse. While men typically embrace a culture that celebrates moving fast and breaking things, research suggests that women are much more cautious, moving forward only when success is all but guaranteed. This interactive workshop will detail why risk-avoidance is holding you back. And most importantly, provide practical guidance on how to break through self-imposed prisons of fear in order to learn how to embrace risk and ultimately achieve your boldest career ambitions. 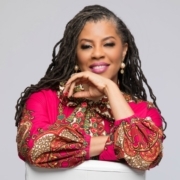 About The Speaker: Dr. Avis Jones-DeWeever is an award-winning author, international speaker, media commentator, and race and gender empowerment expert. She is the founder of the Exceptional Leadership Institute, a global personal and professional development firm grounded in the notion that the best leadership is diverse leadership. 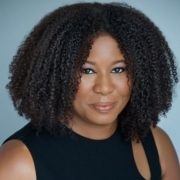 As such, her organization offers coaching, consulting, and training in the areas of diversity and inclusion, leadership, and media engagement. Clients include major corporations, non-profit organizations, and governmental entities based domestically and abroad. You can have exactly what you want! It requires intense clarity, brutal honesty with yourself and a dogged pursuit of that which you seek. It also requires a mentor! A great mentor can help you craft a plan that will help you achieve much of what you want out of your life and career. This session will uncover how to find a mentor, the qualities to look for in a great mentor and how to hone your discussions with your mentor so you can get maximum benefit to prepare you for living the best version of your life. About The Speaker: For more than a decade, Michelle Fanroy has partnered with Fortune-ranked corporations in the U.S. and around the world in their efforts to maximize their most important asset – their people! 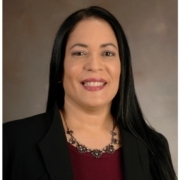 Developing and preparing human capital for the next levels of leadership through strategic corporate mentoring program design, training and implementation has been Michelle’s calling and lifelong passion. Personal excellence and a strong commitment to professional leadership development is the cornerstone of both her career and her consulting firm.